Inspiration! 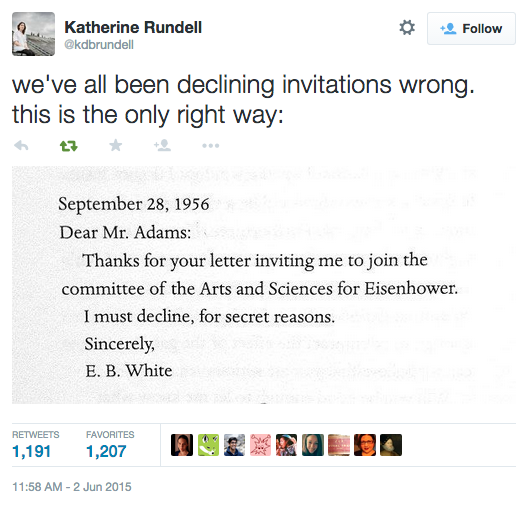 Roundup: Declining Invitations, Big Dreams, the Impact of a Book, and More! This Week's "I want to go to there": Let's try the moon! I mean, just once, I would like to pull that off. This picture of an ant rolling a giant (to it) water droplet is kind of incredible. I find it quite inspirational. Like they are pushing a giant, magical dream up a hill. Go, ant, go! This art piece called The Impact of a Book by Jorge Mendez Blake has really got me. This comic by Kasia Babis is pretty on point. We've got to stand for something at some point. Artist Melissa McCracken has synesthesia and sees music. She paints what she sees and it's pretty stunning.